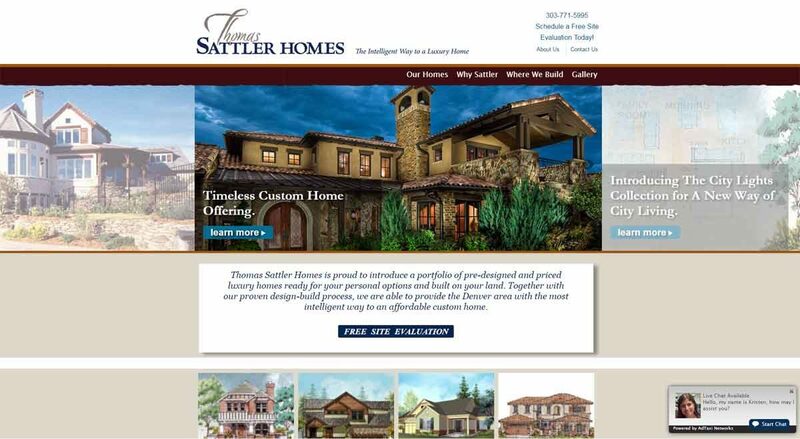 In 2013, Web Image Designs worked with Brett Burgess (HaifleighBrandWorks located in Denver Colorado) to developed this custom WordPress website for the luxury, custom home builder Thomas Sattler Homes, located in Englewood, CO. The custom website design and the power and flexibility of the taxonomy built into WordPress allowed Web Image Designs to develop a WordPress website that showcases these unique homes. Thank you Thomas Sattler we love your custom homes and working with you.